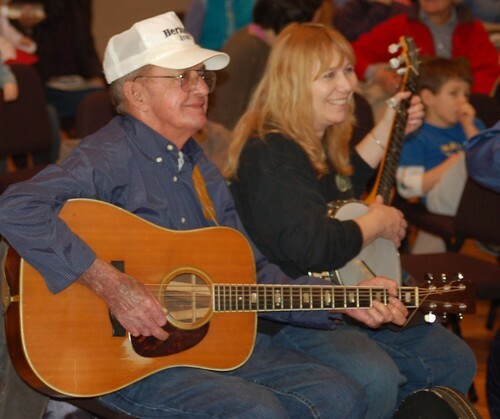 The Mountain Music Festival I went to last week was a great event for kids. It started with a special event called “Take a Bow.” See how it feels to ascend the stage and take a bow to applause read the description in the program. 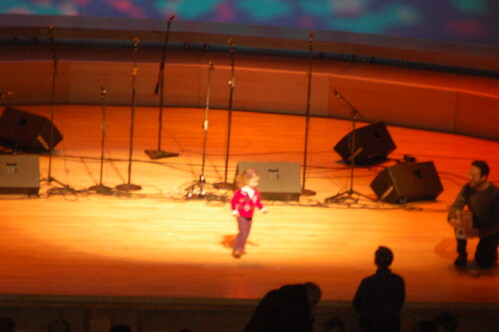 Children took turns walking onto the stage, often accompanied by a parent. They stood in the spotlight while the announcer introduced them with remarks like Here we have Carolyn Smith, a percussionist. She bangs on pots and pans. Her mother tells me that she dances around the house, too. 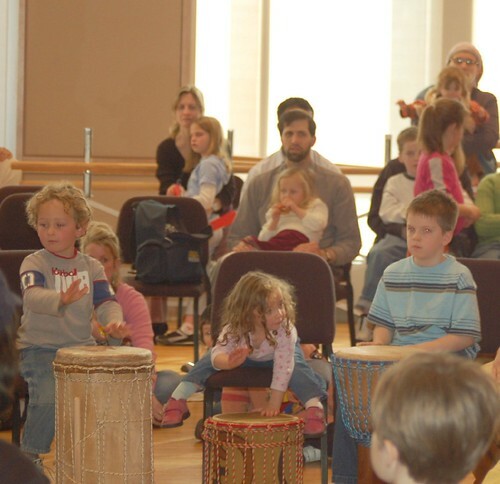 Later, there was a drum circle led by Baile McKnight, a drum maker, drum player, and teacher. People took turns playing the drums, following the rhythms played by the leader. The leader would not let the children run, push, and shove their way into the circle, often prodded by their parents. Instead, he had people who wanted to play raise their hands until he called on them. He taught several groups this way, and nobody was left out. Next, some of the musicians who had performed onstage played for an impromptu dance. The dances were simple so that anyone who wanted to could participate. One of the musicians doubled as a caller and guided the dancers through a Virginia reel and a snake/line dance. This was another event for children of all ages. 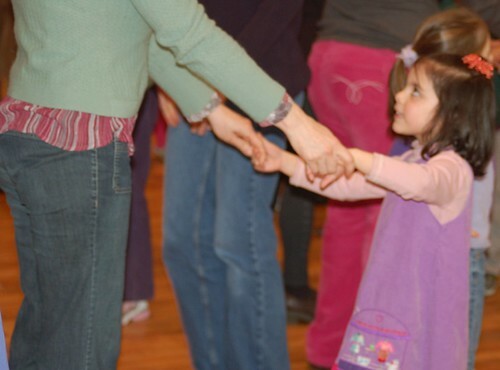 Lots of parents danced with their kids, and everyone had fun.